Another way to use 15 minutes... These are Japanese silks I picked up in Houston. so that alone took 15 minutes! What 15 minutes projects are you working on? from BLOCK EXCHANGES... They all started with the same blocks and they all finished them off in a their own unique way. to get more of you involved that are not in the Bee. Or we could add a second round of the bee for 12 others, if your interested. Tell me your thoughts, and whose game. no more spots are available at this time. stay tuned for some weekly challenges. I would love to join a bee if you decide to have another one. I love the idea. If there is a space on that one I would love to be there as well! glen: I think multiple groups of 12s on the same project are possible too. PS. One of my guilds did something similar. Each month someone presented a block patter to the group. And all year we made blocks. Then you were on your own as to how to put them together in a quilt. Very creative! 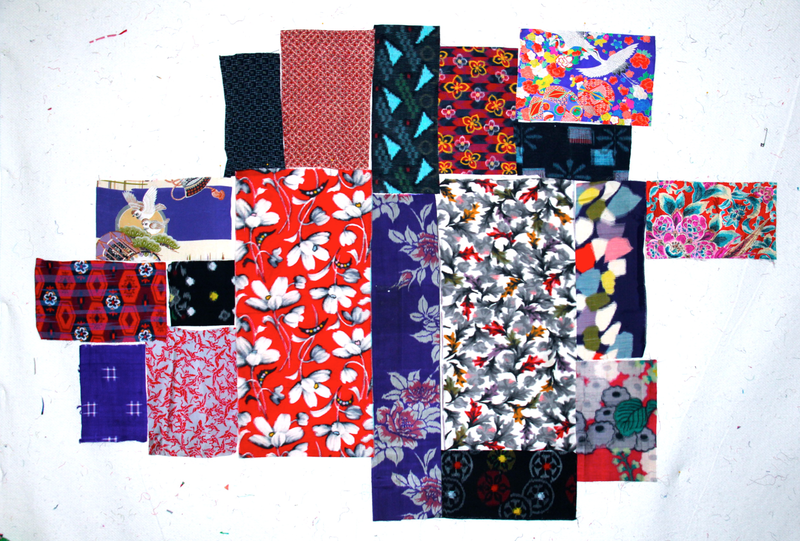 We also did a batik fabric trade and made quilts from the similar fabrics. 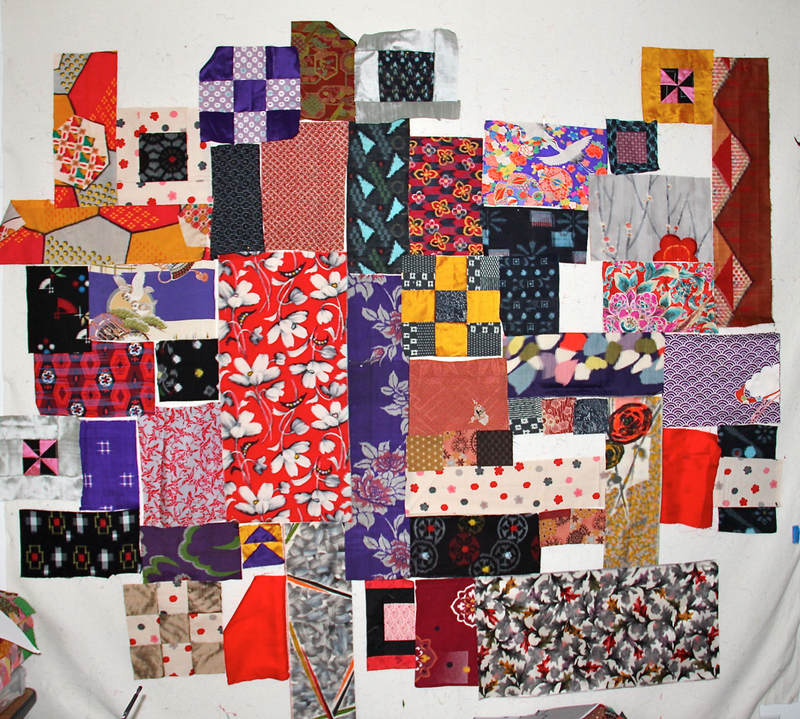 Then we did a 5 1/2 inch square exchange and everyone made quilts from 141 of the same fabrics in 5 1/2 inch squares! We had 16 quilts show up at the end. 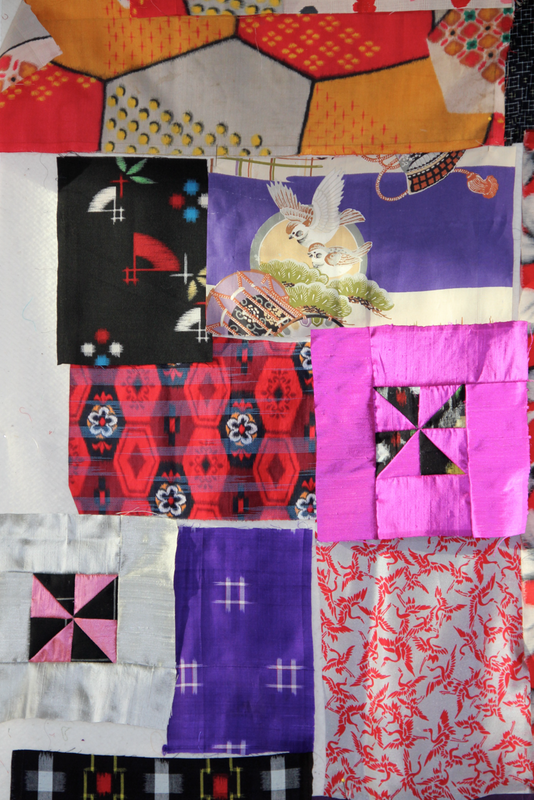 Amazingly there were two nearly identical quilts using the same pattern! 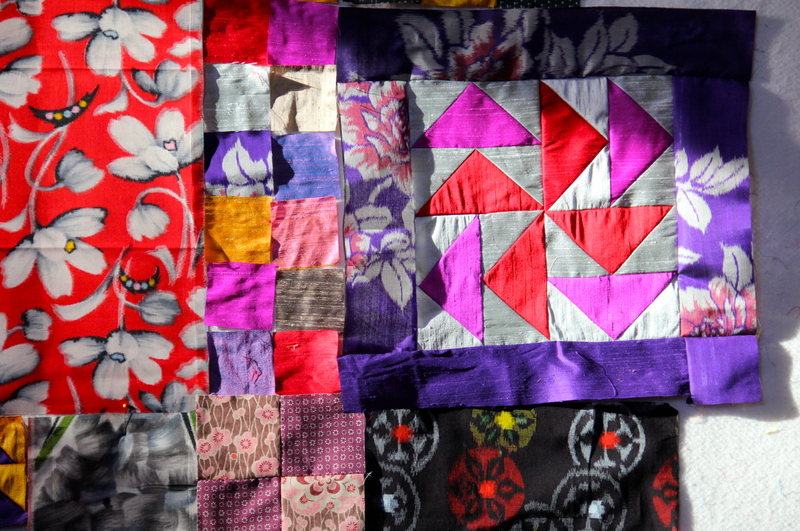 But it was totally amazing to see how different the quilts were. I have also done a swap where you made a thousand blocks and swapped the blocks with everyone. Not really that many but it seemed like a huge amount. I am loving this exchange stuff so much. I'd be up for a second bee, but if there are 12 others who aren't in the current one, they should get first dibs. I would love to be in a bee. The red blocks everyone made for Nifty are wonderful! Fun, fun, fun. I would love a round robin type, too, where you start it and send it along and each person adds to the quilt. I would enjoy joining either type of group, but would prefer an exchange between 12 rather than round robin. A block exchange or 2nd bee sounds like great fun, I'm in. Really cool silks! I've been too timid to wander away from cotton fabrics, but seeing yours makes it really tempting. as i'm preparing to move house i dont think i've the time for people to depend on me untill the new year. sorry! I would love to join a swap or bee too! LOVE those silks V- what a find! the 2nd BEE filled very quickly. there are no spots left at this time. but stay tuned for more weekly challenges to play along, you may still join the site to post along and play! How about that? I think we are just having too much fun!